Usually I am thrilled beyond belief to be writing these posts to inform you about a new episode I have recorded but today, not so much. As I mentioned in a prior post I've had a slew of hardware issues which affected recording but by this past Monday (I thought) I had them all worked out. I recorded my latest episode and sent it out into the world but this morning I learned that the sound quality after the opening music is pretty dismal. My sincere apologies if you cannot hear the podcast. Now that it is out there I cannot do anything other than re-record and right now I have no time for that. Hope that however you listen to this episode you can hear it. Again, my apologies. 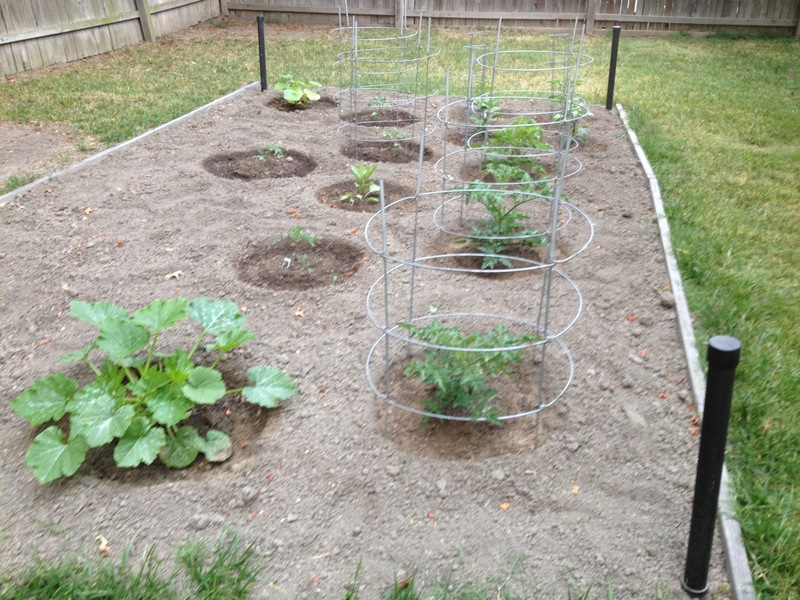 My recently cultivated and amended garden with vegetables which are growing! This American Life - Invisible Made Visible #464 - the podcast of their recent live broadcast. All of the acts are excellent. Fresh Air with Terry Gross - Stand up, Walk Around, Even Just for '20 Minutes' - 5/9/12. If not up in iTunes you can get it directly from the NPR website. This episode is so informative and motivating to get anyone moving. I talked about The Foster's Market Cookbook which I think is a great summer cookbook full of fresh and healthy foods that just say "summer". They have a great website too - please visit www.fostersmarket.com. 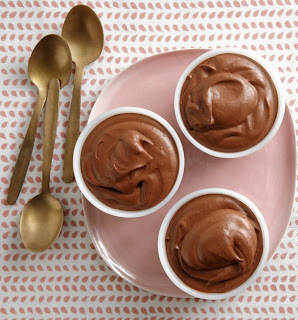 Food Processor Chocolate Mouse - haven't made this yet but I am so intrigued and will try it soon. You can view the recipe here. 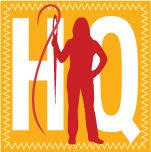 QNNtv.com has a series on Amish Quilting with shows from Elanor Burns from Quilt in a Day. Find the link here. The International Quilt Study Center and Museum has over 280 quilts in their collection that have the characteristics of "Amish Quilts". I found a Math lesson on Pattern located here which illustrates the geometric design and simplicity that is (but not always) Amish Quilting. 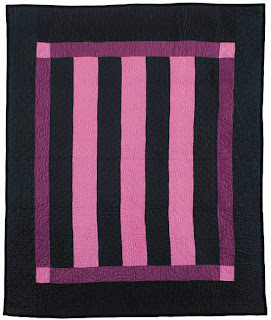 I think this quilt exemplifies Amish Quilting from the early 20th Century perfectly. 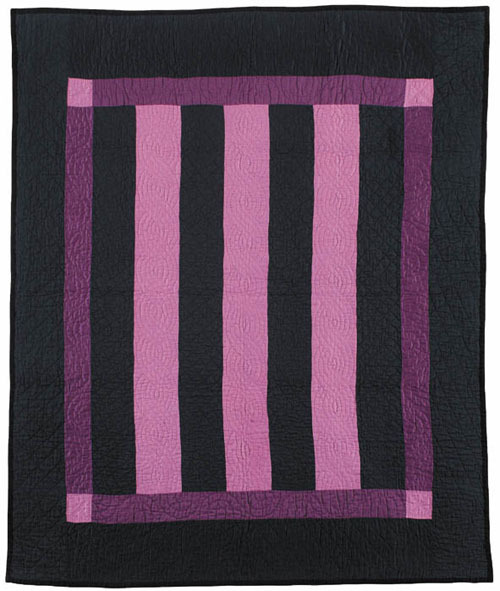 The darker tones, simplicity in the pattern and gorgeous quilting (click on the photo to see the quilting detail) are all hallmarks of Amish Quilts. I enjoyed the research on this episode as I was so curious as to where the Amish people had immigrated from along with their how their traditional/cultural/religious history was created. I was especially fascinated to learn that the last group of Amish people in Europe has dissolved by the late 1930's. Where did they go? I'm off to school within minutes for my first summer session class and I'm very excited. The instructor sent us the syllabus over the weekend and I got right to the readings. Can't tell you how thrilled I am to be taking this class as it feels like a history class. I've missed history classes so much - the readings, the analysis, the discussion...the history! I'm also off to Portland, OR for four days beginning tomorrow visiting cousins - look for tweets/photos if you're on Twitter. Yea garden, and yea Portland!! We'll be visiting family there in a few weeks! Too bad they didn't coincide so we could meet there! You almost have me wanting to get on Twitter. It sounds like you all have fun on there. :) I am afraid it would become another time vacuum for me though. Loved hearing some of the background on the Amish. I'm actually going to give it a second listen since I know I missed some stuff. Thanks for the tip on watering tomatoes. IF I ever get to garden, I will for sure use it. My mouth was watering listening to your description of the chicken curry salad. I love chicken salad. I have to go easy on curry as it does not agree with me, but some recipes are worth it. I like my chicken salad in Pita bread. Love this post and podcast! Thank you so much :) Made my night! It'll be a few days before I try to listen...but anxious to do so. 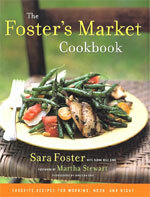 And I've been wondering about the Foster's Market book - may just need to get that for summer fun. I loved this podcast episode, and enjoyed learning about Amish history (however, feeling no guilt in the fact that I am commenting on a blog post with a computer plugged into *gasp* electricity). I have a good bread machine recipe for Farmhouse Pumpernickle if you're interested. It's always a big hit when I share with family or at parties. I am an Amish fanatic, not exactly sure why, so when I saw the title of the podcast I got SO excited! I couldn't hear it on my headphones, but you know that now, so I used some other speakers that I had. I was able to turn that up loud enough to hear. One thing to know about the Amish is that each different group (determined by area) can have slightly different rules depending on their bishop. There isn't one main leader, like the Catholic church, and they intentionally keep the groups small enough that an entire group can gather for house church services. Anyway, this leads to some slight variances in rule. In some groups, women are allowed to use patterned fabrics for quilts that are to be sold to the "English" (non-Amish). So, if you just google Amish quilts, you may find many that are made by the Amish, but are not at all traditional Amish quilts. Hi Susan nice to hear from you again. My young son decided to make those same wall st mouse for his 13th birthday party last weekend. They turned out great, and fast. My older son, 15, has a quilt in the Shelburne Museum's Man Made Quilts. We went to the opening last night, its very cool. Definetly a proud mom moment. If you come East before the end of Oct, you could see it.